Thank you for a great class last Sunday! I thought it was awesome and great learning experience! Ashlee was perfect for the class. 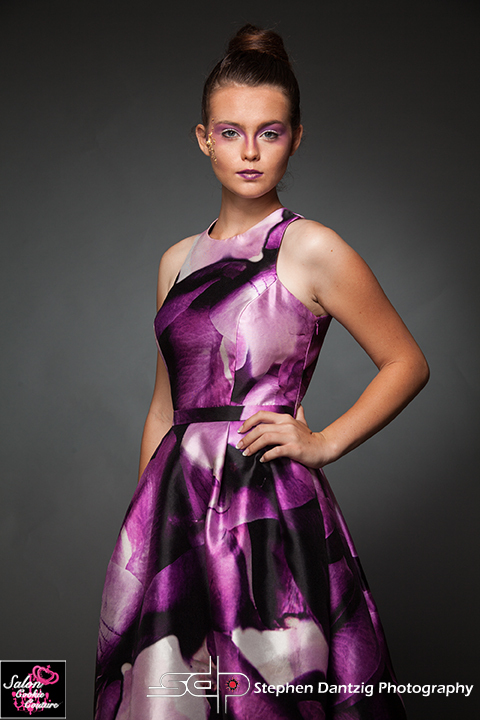 What a beautiful model and sweet girl! I am also interested in taking the Outdoor Lighting Class in April. Again, Thank you for an insightful class and sharing your knowledge. It was a pleasure to learn from you. 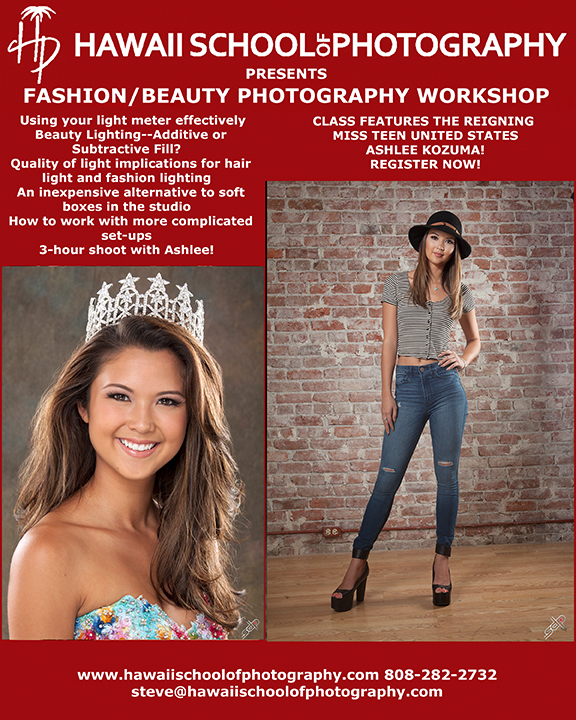 Beauty and Fashion Lighting: One specialty class is held every month from 9AM to 6PM in my downtown studio. Tuition: Seminar: $255.00 Model Fees: $75.00 Total: $330.00 plus 4.712% GET (12% Kama’aina/Military and 17% Alumni discounts off the tuition portion are available for this class). Please click here to check our calendar for dates, availability and to register online. Models are subject to change based on availability. Beauty Lighting–Additive or Subtractive Fill? Applying the lectures to a 3-hour shoot with a model–you will set-up and shoot your own beauty headshots and follow-up with a fashion shoot. Great lighting discussions today as anticipated. Attached are some of my favorite images. The lighting was so nice that all I did was a few things to each image in Lightroom and then posted them!